Jordan Henderson will return but Liverpool’s injury-hit squad leaves Jurgen Klopp frustratingly little room to rotate against Bournemouth on Saturday. Having confirmed status as one of Europe’s elite side’s once again, the Reds turn attentions to getting over the line in the top-four race. Klopp’s side will be greeted by a hero’s reception at Anfield as Kopites dream of entering next season’s Champions League via the most special route—through a stunning sixth triumph. But while that is a genuine possibility, it’s vital the Reds ensure there is at least a pathway via top-four qualification. 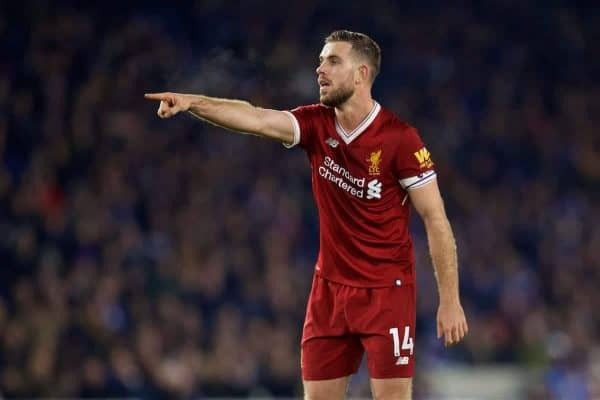 This makes victory over the Cherries important and Klopp is likely to refresh things after the heroic efforts produced at Man City, all but confirming available-again Henderson will start. However the squad remains heavily depleted after some fresh injury setbacks, leaving the boss little room for manoeuvre as he seeks to keep performances and players fresh. After the Reds’ energy-sapping efforts at the Etihad, Klopp will no doubt have liked to have rotated for the visit of Eddie Howe’s side. But the boss is frustratingly restricted as players continue to drop like flies which will now force a near full-strength lineup once again. The only alterations likely to be made are in positions where options of experience and adequate quality are available. Henderson is one of those and the captain will return to his No. 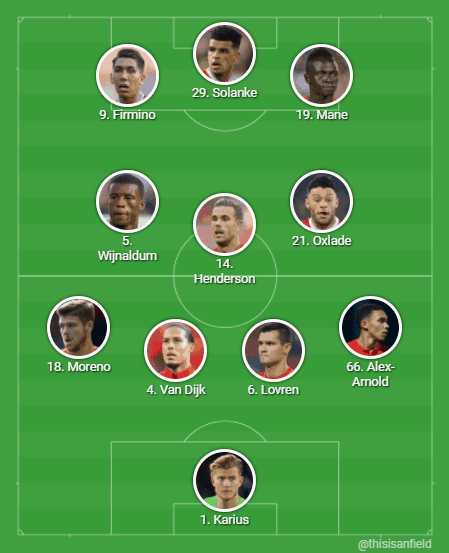 6 role, which would allow for the increasingly important and influential Alex Oxlade-Chamberlain to be managed. 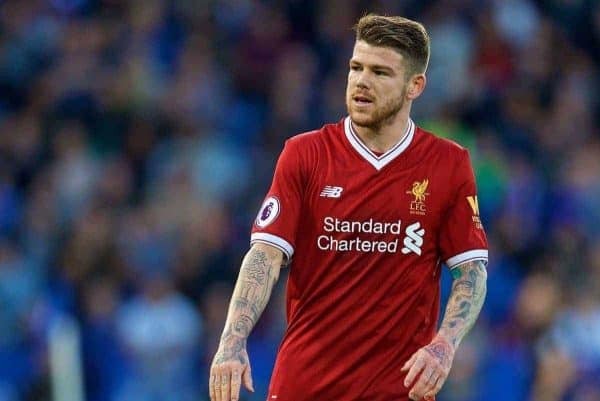 Moreno is another able to come in, and the Spaniard could do so to ensure Andy Robertson is also appropriately rested. There is little else Klopp would actively change unless forced, but he may decide to refresh his attack. Considering Sadio Mane has featured in every game since Boxing Day and with Mo Salah’s recent groin injury in mind, there is reason to do so. It’s unlikely both would be rested but one would benefit, and Klopp may take caution with Salah given the Egyptian completed 90 minutes on his comeback in Manchester. It’s certainly not the time to gamble with the Egyptian King and it would be a straight toss-up between Ings and Solanke to enter, but the youngster may get the nod. The edge lost in attack by Salah’s possible absence could see Klopp attempt to compensate by deploying a more attack-minded midfield. 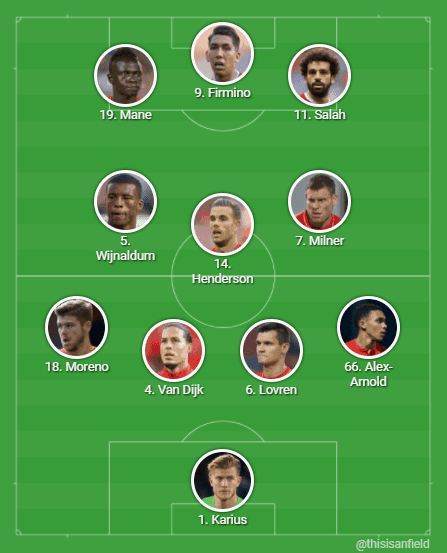 Oxlade-Chamberlain could be retained for the drive and attacking thrust he provides from the middle of the park, with Milner instead making way for Henderson. Securing three points against Bournemouth is vital with Chelsea playing twice over the next week, presenting the Reds’ top-four rivals with a chance to make up ground. Needing only nine points to guarantee a Champions League place next season, Saturday could provide the perfect opportunity to make another step forward.